Inspired by the time-honoured traditions of the Classical world, Sylvia’s desire to protect the horse is reflected in her training methods, which concentrate on a balanced seat and quiet aiding. 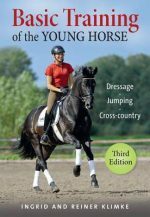 She abhors the use of force and gadgetry in the schooling of horses and believes that Classical riding is the best way forward for all disciplines. The aim of The Balanced Horse is to confirm in people’s minds what they should be doing for each and every request, and what they must avoid. Every instruction is based on what the horse needs to feel at that moment in time. Each aid is based on psychological and physiological effect placed on that sensitive animal underneath us. Over time, applying each aid correctly can elicit a response as instant and involuntary as the knee jerk reaction in our own.